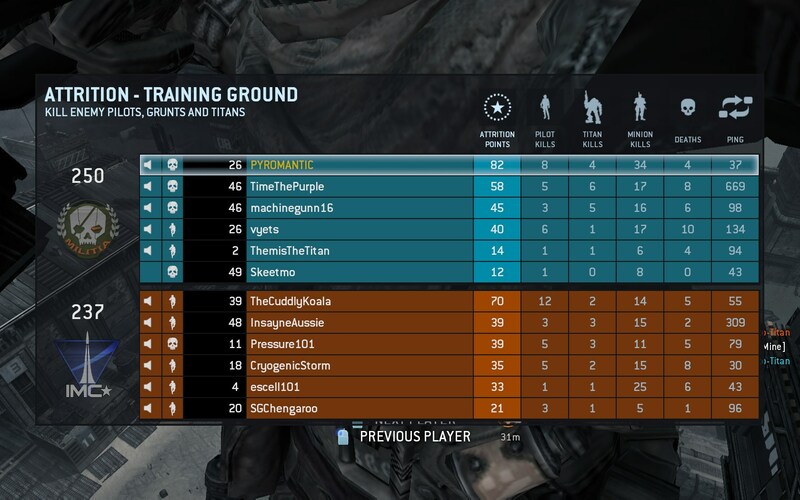 Titanfall: We Thank You For Your Service, Pilot. The origin story of Respawn Entertainment is one that’s cemented in many gamer’s minds. Not long after Infinity Ward released Modern Warfare 2 tensions between some of the executive team and Activision began to escalate. This eventually led to Jason West and Vince Zampella being fired from Infinity Ward for “breaches of contract and insubordination”, a line not many in the industry believed. However not long after that the former employees announced that they were starting a new games company (with blackjack and hookers, obviously) called Respawn entertainment. It didn’t take long for many current Infinity Ward employees to follow them but after that they went dark. 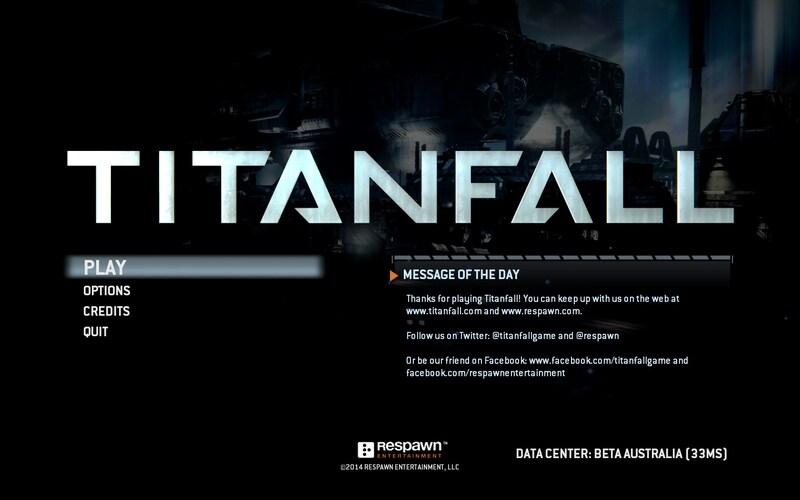 Last year Respawn announced their first title would be called Titanfall, a sci-fi FPS that would be an Xbox exclusive. Thankfully that, and a few other things, have changed since then and Titanfall has shaped up to be a great first title, even if can’t hide its Call of Duty roots. It’s the distant future and mankind has succeeded in building warp technology, opening up the universe for our exploitation. Humans have expanded far and wide however with distance became a growing disconnect and resentment began brewing between the core worlds and those that live on the frontier. Over time this has escalated into a full scale war between the core world’s military force, The IMC, and the frontier’s Resistance. Neither side has any intentions of backing down and battles continually rage on multiple planets, devastating their colonies and turning paradises into giant fuel depots and factories dedicated to the war effort. You’re a pilot, one of the elite 2% who make it through the notoriously fatal training programs, and it’s up to you to fight for your cause. 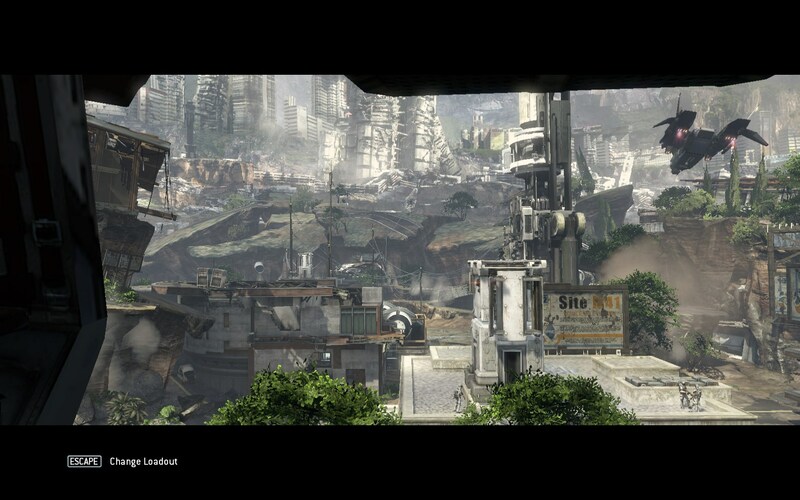 For a game that’s based on a modified version of the Source engine (the same one that powered Half Life 2 all those years ago) Titanfall is surprisingly pretty with all the eye candy I had come to expect from games like Crysis or Far Cry. The initial settings that Titanfall selected for my system had me a little worried that it’d run like a dog once I started tweaking it but, surprisingly, it runs incredibly well with only a few things like shadow detail turned down. Still, as you can see in the screenshot below, those tweaks don’t appear to have a lot of impact on the overall visual quality something Respawn are to be commended for. You won’t be spending much time looking at the scenery however as Titanfall is designed to throw you head first into the action and it doesn’t let up until the round is finished. Typically I’d go over most things from the view of the single player campaign first before talking about the multiplayer experience but Titanfall takes the interesting route of blending in single player elements into multiplayer matches to facilitate the story. It actually works out really well as a gentle way to introduce you to how Titanfall plays as you’ll likely be matched up against other people just starting out with it, ensuring that you’re not stomped by max level players who’ve already amassed hundreds of hours. The game’s story is also passable however since you’re always in the middle of the action when critical things are occurring it’s kind of hard to pay attention to it which is probably the only major letdown of the multiplayer campaign experience. Titanfall has 2 distinct modes of gameplay, each of which has its own unique tech tree for you to customize to fit your playstyle. The first is a traditional style FPS experience with the added benefit of lots of mobility, including parkour style wall running and double jumping, and an array of weapons that are distinctly different to anything you’ll find in similar deathmatch style games. The second one happens when you call in your Titan from the sky, giving you a giant battlesuit with high powered weapons to take on both players and other Titans alike. How you customize your loadout, both for Titan and Pilot play, will determine how effective you are in certain situations and whilst there’s no one build to rule them all there’s definitely going to be one that suits you perfectly. At first glance you’d figure that everything would revolve around Titan based combat because, come on, they’re giant mechs. Whilst this is partly true you’re given a heck of a lot of tools to deal with Titans as a Pilot. This isn’t to say that Titans are your biggest threat on the field however as you’ll likely spend quite a lot of time facing down with other pilots. Thus the larger strategic decision you’ll have to make when customizing your Pilot load out will be: do I want to be anti-Titan or anti-Pilot? The same choice applies to your Titan load out as well and will determine when you’re most effective in the game. Since you’ve got multiple loadouts to choose from this usually isn’t too much of an issue as you can build for multiple situations but each of them will need to be geared towards either one of those objectives otherwise you’ll likely find yourself ineffectual at both. For me I chose to go for a primarily anti-Titan build for both my Titan and Pilot. I kind of fell into it as I kept tweaking my build throughout the campaign missions, trying out things that were used against me that I felt were pretty effective. The main exception to this is the smart pistol which is like having a sanctioned aimbot and is very handy in showing you where enemy Pilots are hiding. Of course its stopping power is somewhat limited, given its aimbot nature, but if you’re able to dance around someone long enough you’re guaranteed a kill. Walking around a corner into someone else will likely see you dead first, however. However once I got past level 20 or so (which doesn’t take long to do, I think I got there in about 3~4 hours) my build remained largely static. Whilst I did encounter some other builds that were particularly effective at one thing or another they all seemed to be pretty limited outside of that. Indeed the best one I came across, the light Titan with the Arc Canon, wouldn’t last long after I landed a couple hits on it. Couple that with the Vortex Shield nullifying their fully charged shots most of the time and it made it hard for me to want to try anything different, lest I start getting owned. This is in stark contrast to the way I play Call of Duty where I’ll typically have 4 completely different builds loaded up just for variety’s sake, all of which I feel are viable. Maybe my build just fits into the way I play best but, honestly, whilst the initial customization options seem large they pale in comparison to similar games in this genre. 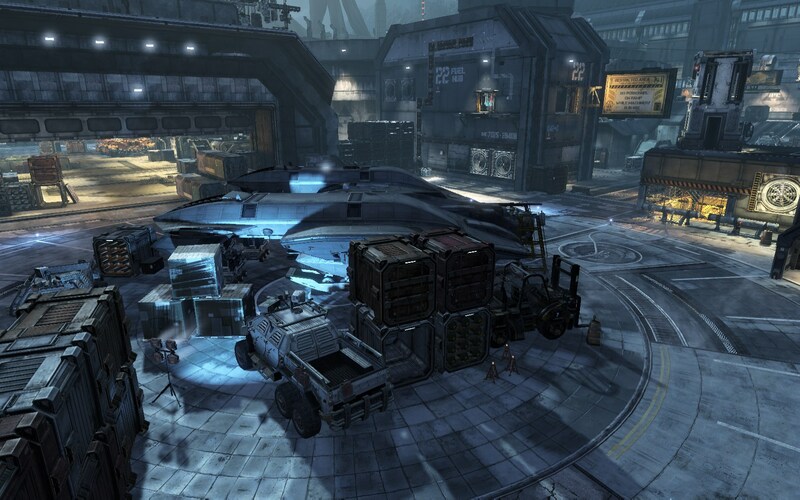 This, I think, is probably the one thing that could be Titanfall’s… downfall. There’s just not enough variety in the game to keep you going past a certain point as you’ll unlock most things relatively quickly and will tend towards things that work. There’s a whole mess of things in the game that just aren’t worth using, shrinking the pool of viable builds considerably. 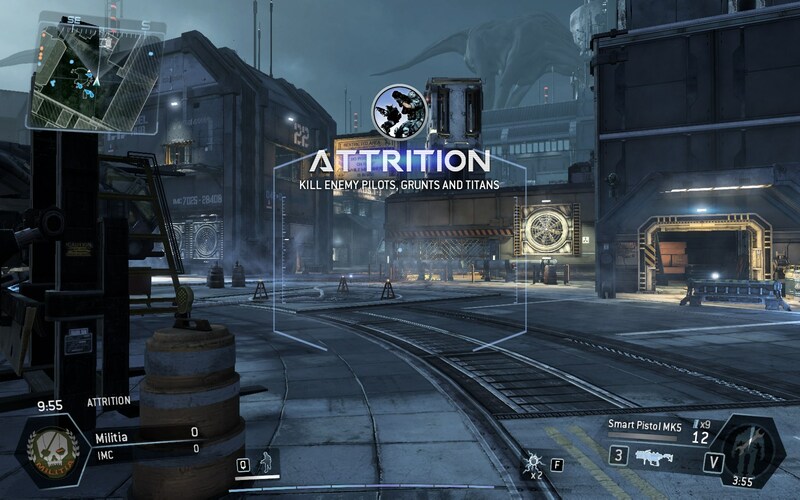 Whilst 15 maps sound like a lot you’ll get familiar with them quickly and apart from attrition all of the game modes are the same kinds of modes you’ve seen dozens of times previously. Thus in order to keep Titanfall new and engaging Respawn needs to keep releasing content, something which they’ve planned to do but I have no idea how well it will work should it not come out soon. Titanfall is a gorgeous, action packed game that delivers a great multiplayer experience reminiscent of the Call of Duty series but with an identity that’s uniquely its own. The blended single/multiplayer campaign works well, functioning as an extended tutorial that ensures you know what you’re getting into before diving into the multiplayer in earnest. It’s let down a bit by the lack of variety which is exacerbated by the fast levelling process, which could affect Titanfall’s longevity for some. All that being said it is an incredible amount of fun to play and is a solid first title from Respawn entertainment. Titanfall is right now on PC and XboxOne for $49.99 and $99.95 respectively with a Xbox360 release due in the near future. Total play time was approximately 7 hours, reaching level 31.